Highlights from Pro12 champions Glasgow's 27-17 victory over Ulster at Scotstoun on Friday night. 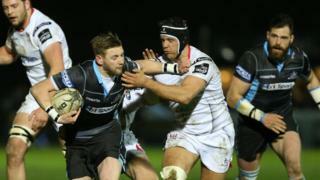 An early Iain Henderson try helped Ulster to a 10-9 interval lead at Scotstoun. Stuart McCloskey added a second Ulster try before the hosts hit back with tries from Stuart Hogg and Tommy Seymour.